With a bit of a sprawling suburban restaurant feel, Legno boasts a large pasta and pizza menu paired with tall two-tops and floor-to-ceiling windows to solidify exactly who it's catering to. 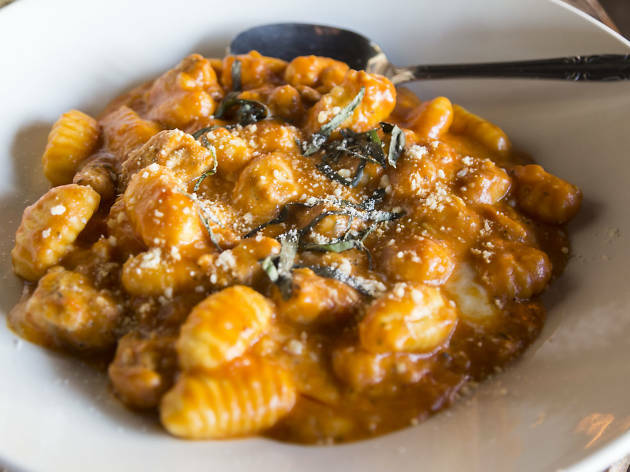 Everyone will find something they can enjoy at Legno (picky eaters included)—our pick? 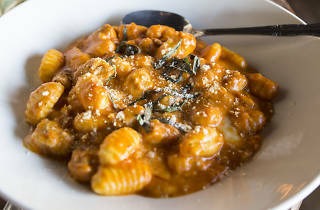 The gnocchi topped with red tomato sauce, a hearty portion that'll fill you up quickly. Great neighborhood Italian gastropub with generous entrees, wood fired pizzas, delicious cocktails and a great selection of beer! Weeknight specials and happy hour deals, include 1/2 price pizzas, 1/2 price bottles of wine and bottomless mimosas to compliment Sunday brunch. Food is fresh and delicious, service is friendly! The food is great, the wines are wonderful, it's a warm inviting place in the winter, it has a nice patio for the summer, and you can always watch the Hawks or Cubs in the bar.